What if every moment of your adolescence could be captured in a snap? What if every thought you had as a teenager could be sent in a few thumb taps? What if as a pre-teen you’d had 24-hour-a-day, 7-day-a-week access to send a message to every single person you did or did not like in school? With smartphones in hand, kids today are experiencing a level of constant connectedness the world has never known. Unfortunately, many experts say it’s causing never before seen levels of anxiety and depression and blazing an unintended trail of life-altering digital permanence. What’s a parent to do? Is occasional cell phone monitoring too much? Or not enough? Why it’s important for parents to be aware of communications on their children’s phone that relate to signs of anxiety, depression, suicide, predatory grooming, etc. 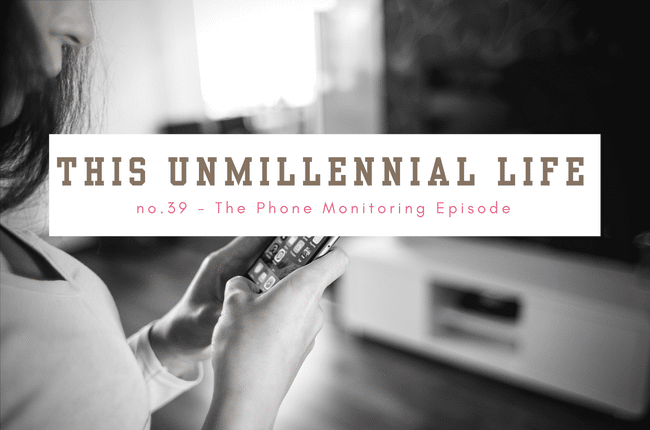 I close out today’s show, as the end of Season 1, with a recap of what the This Unmillennial Life Facebook group listed as their most memorable moments from this season of the podcast. As always, I hope you find this show helpful. If you do, be sure to share it with a friend. Friends that aren’t podcast listeners can now access each full-length show via ReganJonesRD on Facebook. This Unmillennial Life is available each week via iTunes, NPROne, Libsyn, and Spotify.